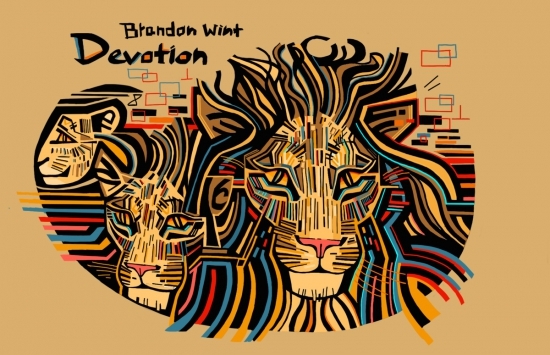 Brandon Wint’s free, four-track EP, Devotion (2015) is a gentle wash of words lifted up by piano, drums, horns, guitar and vocals. The collection features Wint’s trademark honesty, compassion and depth. In the second track, Rain, water metaphors are used to delve into the sensual possibilities of the body. Wint addresses themes of desire, attraction, devotion and worship here – including of one’s own physical being (“In the moments before the world is wet, I think of my body. My long, ever-curious fingers…”), as well as that of the other (“Remember me as the storm that drenches you.”) Unfortunately, there are several moments in this poem when the swell of horns and percussion make it difficult to hear Wint’s soft, low voice. That said, the musical accompaniment is definitely well-matched. In the third track, Poetry Rocks, we see Wint turn a moment that is rife with potential for ego on its head. He enumerates the many complex experiences and relationships that have made poetry possible and necessary for him: “…trying to chip away at my past, all I’m left with are rocks. Like my mother, who has been the rock I have leaned on…. Rocks, like my father, who is tired of pushing the boulder of his childhood uphill...” We get a sense of the role of struggle and pain in his life and how that has spurred him on to create work. Tess Kitchen does a beautiful job here of creating thematic cohesion and a perfect musical gravity through trumpet and voice. To listen to Devotion, visit here.